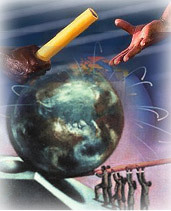 The Internet has made it possible for every small firm to have a global presence with UNLIMITED BUSINESS OPPURTUNITIES. Opportunities that help you expand your business and grow with the ever-increasing demands of your customer. This professional form of advertising with a website on the Internet, gives you the opportunity to compete with the big industries on equal footing in the marketplace. Also it is the most economical advertising / marketing tool compared to the conventional mode of advertising. Your business will reach thousand of potential customers every day through this powerful media. With more and more people getting online, the exposure your business receives with a website is far greater than with conventional forms. Where else can you advertise every single minute of the day? The fastest growing segment of the web is small to medium sized businesses because placing their image through unique website designs on the Internet. So now when you hand someone your business card or brochure, they will also see your website address. When they later have a need for your product or service they can find your business on the Internet and find the information they need to make a buying decision. 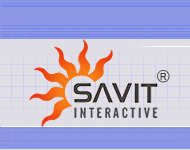 Savit Interactive provides creative website solutions that will display your professional business image.